It doesn't seem that long ago since a new kid on the variable frequency drives block emerged on the global stage. But this weekend marks 21 years since Invertek Drives began what has become an amazing journey in drives innovation, technology and growth. It's quite fitting that in our 21st year we are opening our new global manufacturing and distribution facility adjacent to our headquarters at Welshpool, Powys in the UK. 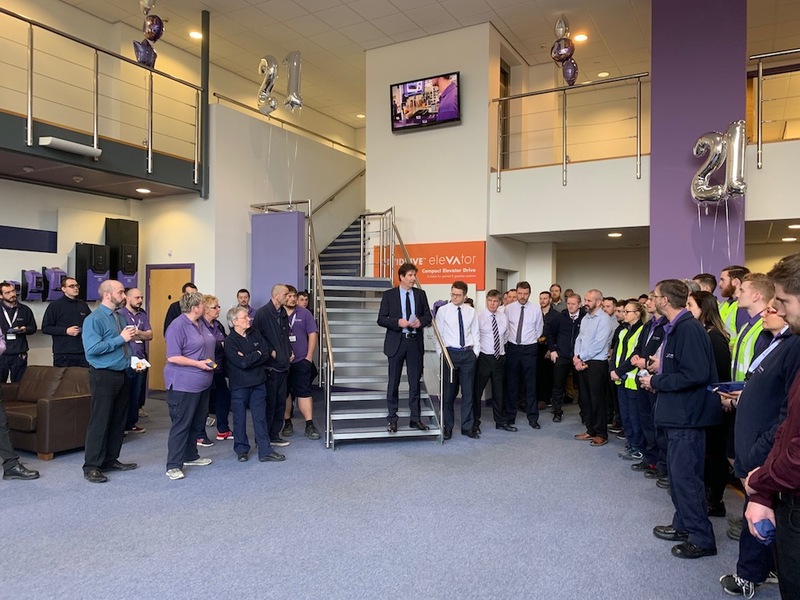 Today, we marked the occasion with a little gathering - including cake - where Operations Director, Charles Haspel, and directors Rhydian Welson, Dr David Jones, Glyn Jones and Adrian Ellam, thanked the Invertek team for their work in helping the company achieve record levels of production and growth through continued innovation. We continue to innovate as leaders in the field of drives technology and the next 21 years will no doubt see some amazing developments in how we control motors and pumps in industries and sectors throughout the world.